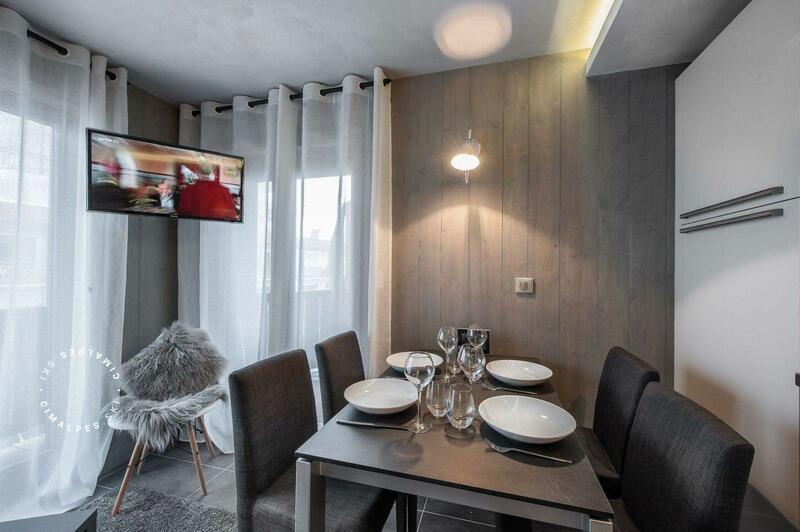 'Tarine' is a small cosy apartment, well designed and very functional in Courchevel Moriond. 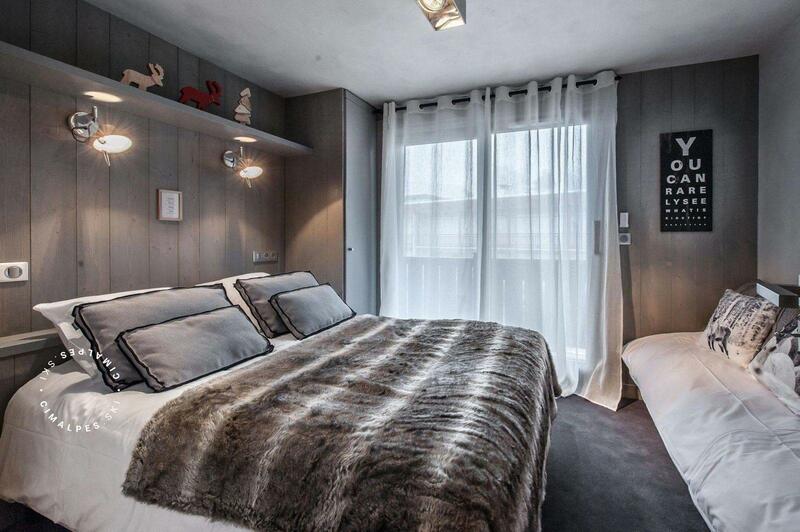 It offers the advantage of being located close to the slopes and ski lifts, but also benefits from a position in the heart of Courchevel Moriond, just steps from the shops, bars and restaurants of the resort. Not taking the car or hop in the free shuttles of the resort, that also is part of a perfect holiday. The decor is in a traditional Savoyard style, as in all the apartments of the 'Les 3 Vaches' chalet: the theme around cows is pushed down to the smallest details and gives to the apartment 'Tarine' traditional charm. 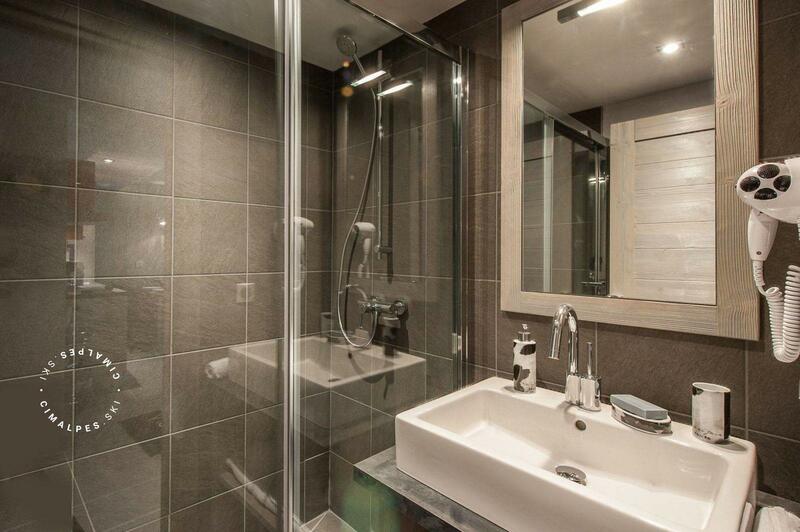 The balance between contemporary and traditional spirit is perfect. 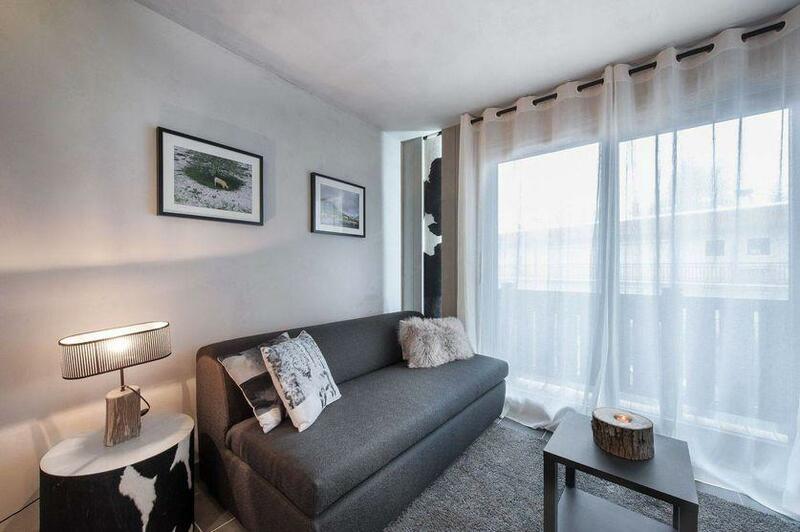 'Tarine' apartment is perfect for a couple with a child. 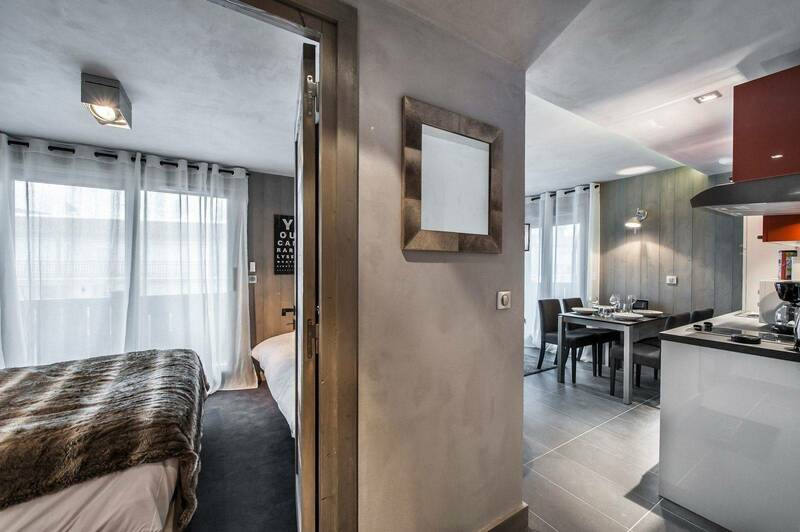 The apartment is located in the centre of Courchevel Moriond with all the amenities nearby: shops , bars and restaurants, the resort is ideal for family holidays or with friends. The lifts and the ESF meeting point are located at the tourist office 50 metres from the apartment. 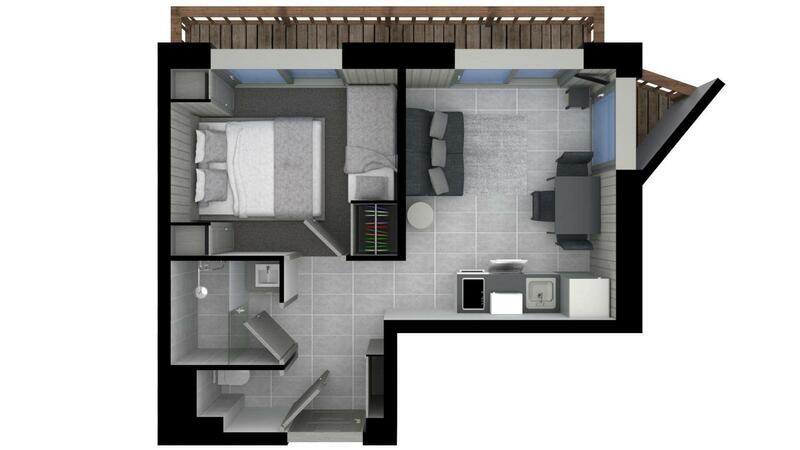 Living area : Open plan kitchen open onto the large bright living room. 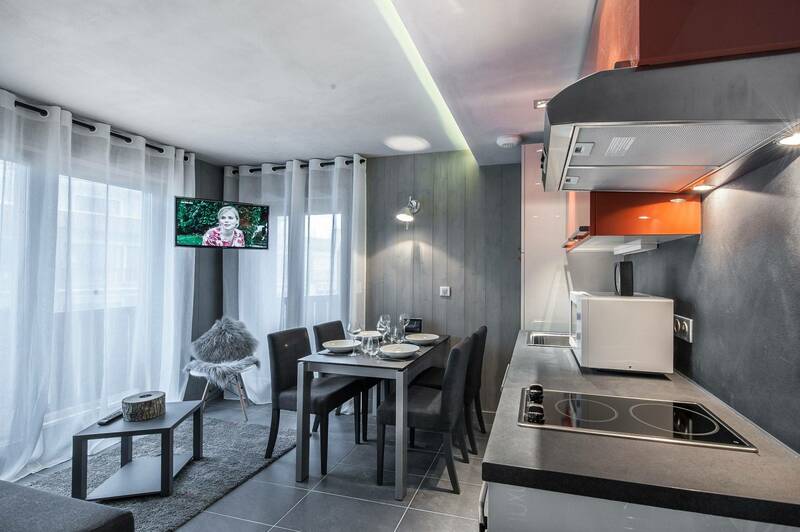 Beautiful luxury apartment offering unique alpine decor and modern facilities. 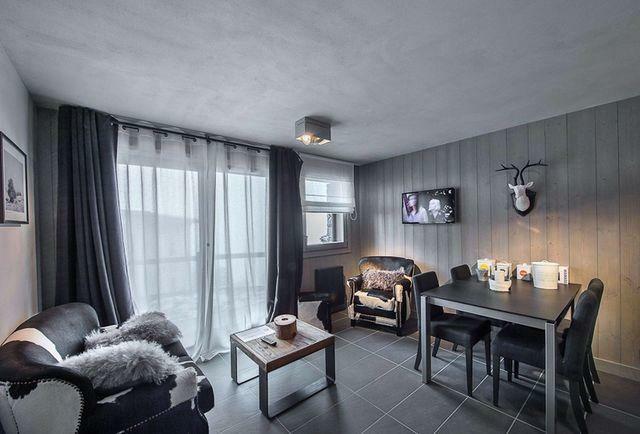 The real highlight of this apartment is undoubtedly its location in the heart of Courchevel Moriond near the pistes and the shops.